There are many laws regulating the sale of firearms at both the state and national level. As many of you know, with the 2013 Firearm Safety Act there have been many changes in how and what you can buy as a Maryland resident. Our staff will guide you through the necessary paperwork and discuss with you the process and possible problems involved in your purchase. In Maryland, there are two broad categories of firearms: Regulated and Non-Regulated. 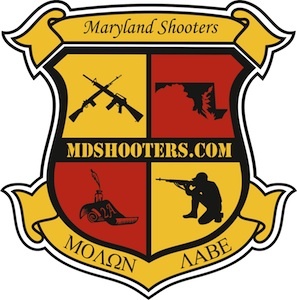 Most shotguns and bolt action rifles are not regulated by the state of Maryland. By national law one must be at least 18 years old and pass a NICS background check, made by phone. A single form is completed and a copy of a valid Maryland issued ID card or Drivers License is kept on file. Currently all handguns are regulated by the state. Our staff can guide you through the process of purchasing a regulated firearm when you visit the shop. Purchasers need to meet one of a few requirements before making the purchase. If you aren’t a current or retired LEO member of the Armed Forces, you will need to get a Handgun Qualification License. Duffy’s must be notified of all transfers before they are sent. We will send our FFL to any other FFL holder, but we must be provided with an e-mail address or fax number. Our standard transfer fee for regulated firearms is $100. Multiples papered at the same time receive a discount. Our standard transfer rate for non-regulated firearms is $50 ($55 if you’re paying with credit/debit card). Multiples papered at the same time receive a discount. Magazines that hold more than 10 rounds will have to be blocked if they are transferred in Maryland. There is a $10 service fee per magazine to block them. Magazines are blocked to hold 10 rounds or less. Due to variance in magazines, there is no guarantee how many rounds the repaired magazine will hold. Certain uncommon magazines may cost more, or may even be impossible to block, depending on certain factors. NFA items or transfers of more than 3 items at a time must call first to arrange price. We generally need one business day to have guns logged in and ready for paperwork. If you have a tracking number and see your package has arrived, please come in the next business day. If you have any questions or need clarification, please send an email. 1. All pistols manufactured after 2002 and sold as new require an internal safety lock or built in lock. If you do not have the appropriate caliber Omega style lock, you can purchase one from us for $35. 2. Regulated firearms, special orders and transfers not delivered after purchase because of customer request or denial of background check will result in $150 cancellation fee. Non-regulated firearms in stock not delivered because of customer request or denial of background check will result in $50 cancellation fee. Wednesday Q&A: After NICS Delay, what day? When you buy a firearm from a gun store, a NICS (National Instant Criminal Background Check System) check is done. Checks are usually determined within minutes of initiation, but occasionally a check might result in a delay while examiners spend more time researching the check. A proceed will probably come after a few days, but if it doesn’t, the law allows for it to be picked up after three business days. But if a customer buys a gun on a Friday, that might not be until Thursday of the following week. If you get a delay, and we get a determination before the standard day of pickup, we’ll give you a call to come take it home!